Apple has given its MacBook Pro 13 a thorough makeover for the 13-inch laptop for the first time in years, with upgrades both on the inside and outside. The high-end laptop parades premium design you would expect from its maker and packs more punch under the hood, while offering a number of new features. Apple MacBook Pro 13-inch is now offered in two models: Touch Bar and non-Touch Bar. The main highlight of the 2016 Macbook Pro 13 is undoubtedly the long-rumoured Touch Bar, a Multi-Touch OLED strip of glass that takes up the place where function keys are traditionally fixed. This touchscreen panel can perform a variety of functions, adapting itself to whatever program you are using at a time. For instance, you can adjust volume or brightness by touching the OLED strip. The Touch Bar can also offer emoticons for your messaging. If you are willing to give up this feature to pay less, there is a cheaper model of the laptop without Touch Bar. However, the Macbook Pro 13-inch model that offers the Touch Bar also comes with Apple’s fingerprint sensor, the Touch ID. 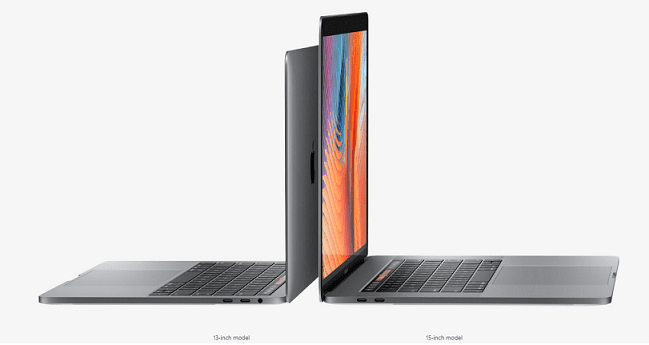 Housed in an aluminium enclosure, the new Apple MacBook Pro 13 is slimmer and lighter than the previous model. It is just 14.9mm thick and 1.37kg heavy, compared to its predecessor’s 18 mm and 1.58 kg. The colour options have also increased with Silver and Space Gray options. Nothing has changed in the 13.3-inch Retina Display in terms resolution, which remains at 2,560 x 1,600 pixels. However, the new model is brighter and interestingly more energy-efficient. 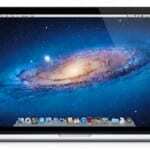 The MacBook Pro 13 is expectedly decked out for improved performance, including processing and graphics crunching. It is equipped with 6th-generation Intel Core i5 dual-core processors with options for Intel Core i7. The Apple MacBook Pro 13 with Touch Bar comes with 256GB or 512GB PCIe SSD, while the without model is available only with 256GB. Both models have options for 512GB or 1TB storage. Both the Touch Bar and non-Touch Bar models come with 8 GB of RAM (up to 16GB), although the memory on the former is faster. The higher-priced option carries an Intel Iris Graphics 550 GPU while the cheaper offering uses Intel Iris Graphics 540. 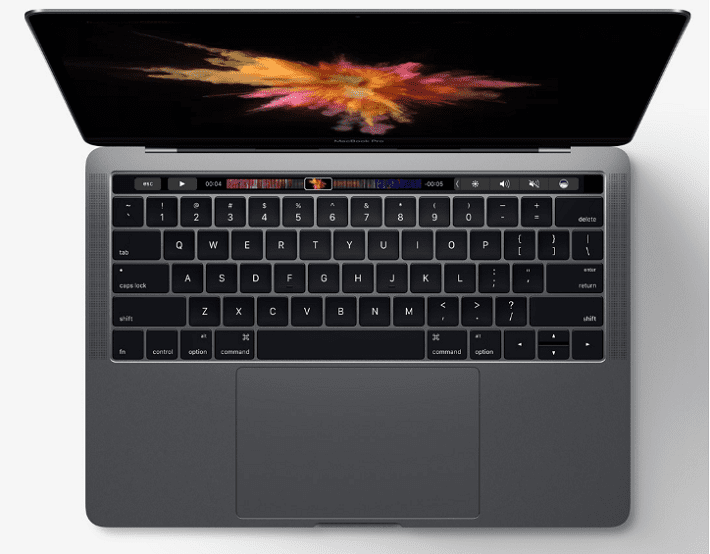 The Apple MacBook Pro 13 Touch Bar features Touch ID for unlocking and using Apple Pay for purchases in stores. It also comes with four Thunderbolt 3 ports, while its non-Touch Bar counterpart loses two of these ports which can be used to charge or transfer data. However, there is no SD card slot, unlike last year model. Apple promises all-day battery life of up to 10 hours for the MacBook Pro 13. The 2016 Apple MacBook Pro 13-inch is avaiable in the United States starting at $1499 for the Non-Touch Bar models and $1799 for models with the Touch Bar. 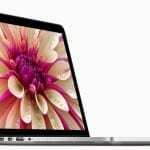 The 2016 editions of the Macbook Pro 13 are not available in Nigeria, Kenya, or Ghana. When available, we expect the The Macbook Pro 13 price in Nigeria to start at 525,000 Naira, depending on your location and the configuration of the laptop.